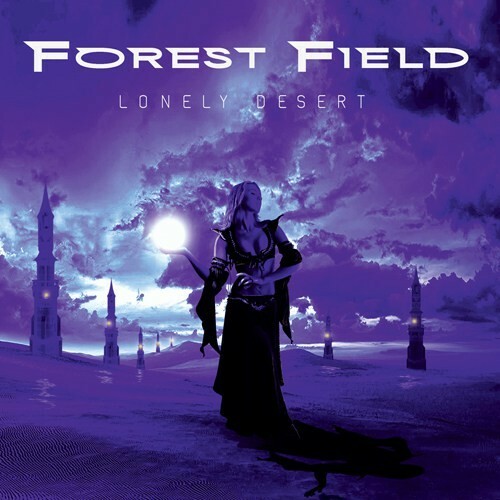 'Lonely Desert' is the fourth album from Forest Field, the brainchild of Holland's Peter Cox. Cox is the composer and player of all instruments on the album, however he has enlisted US singer Phil Vincent (Legion, Tragik) to create a well-rounded album. The press release states the album is loosely based on Frank Herbert's 'Dune' series and looking at the song titles, such as 'Riding The Worm' and 'Doomed In The Desert', you get the message. The vocals are clear and I suspect the lyrics are worth delving into if you are a 'Dune' fan, but if it's just the music you are interested in, it has plenty to offer. Labelled as Elaborate Rock, this is a Prog Rock slanted album with a bit of Pop and edginess, all rolled into one. I would go so far as to say it reminds me somewhat of the Francis Dunnery era of It Bites. So there are lots of changing of direction, a measure of quirkiness and a few surprises within. Highlights are the crunchy guitar work of Cox and the more manic, vocal-based songs such as 'Into The Light' and opener 'Valley Of Pain'. Overall, this is a high quality and melodic album and definitely at its best on the up-beat numbers.